We’ve got one last year to live before the world comes to an end in 2012, and these 10 brands will make it unforgettable. From awesome new releases jam packed with sweet t-shirt graphics, to fun events, giveaways, and more, you can’t miss what they’ve got coming. Check out 10 brands we think will bring the heat and keep you on the edge of your seat all year. Don’t be a fool–be sure to watch them before our time is up! It’s great to see a brands progression, and I remember watching these guys on the come up a few years ago. Check Your Six has released four collections so far, each embodying their theme of edginess and controversy. The brand is stocked by retailers around the country, and distributed internationally online. This year should be a big one for founders Matt and James, who started the brand in their basement. Each release has been better than the previous, and they’ve even landed a spot on Karmaloop. Founder Phillip Annad has become an icon in the streetwear industry, and a trend setter amongst his peers. Award Tour has gotten to the point that their online shop crashes due to high traffic volume when a new product is released; in other words, these t-shirts have causing havoc. 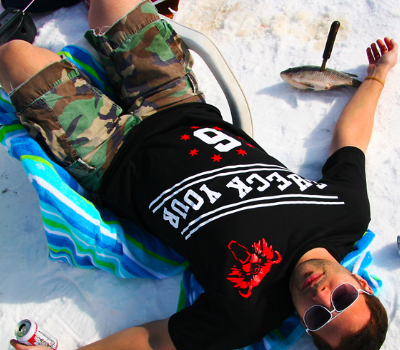 The brand recently poked fun at their situation with a tee printed with the phrase “Relax! It’s really not that serious. They’re just t-shirts.” It is serious. Or at least their fan base will tell you so. There’s no doubt that Award Tour will bring the heat this year, and we’re willing to make bets. 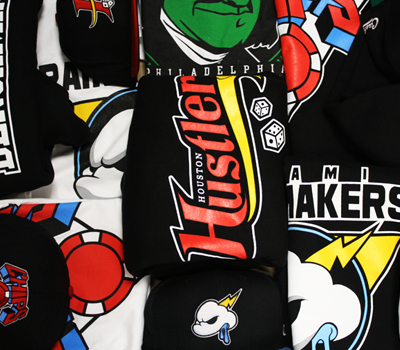 From their collection releases featuring familiar cartoon characters like The Jetsons, to their recently retail shop location, Dope Couture is surely making moves. They’ve even collaborated with many other top brands, and have had their t-shirts worn by famous musicians. There’s no telling what they’ll do next. The brand’s goal is to bring the lavish, luxurious lifestyle of the upper class to you, because everyone deserves the right to feel on top of the world. Recently, they’ve produced a number of cut-and-sew garments, in addition to their staple t-shirts. One of the most recognized t-shirt brands around, Linty Fresh has become a phenomenon amongst t-shirt enthusiasts. Founder Eric Terry’s funky character designs come to life on an assortment of products, from t-shirts to hoodies to buttons. 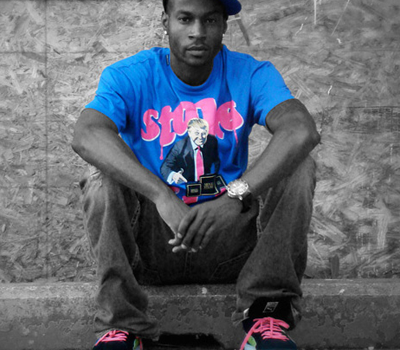 Often, the brand would release a new t-shirt design every month. What’s not to love about Linty Fresh? Their t-shirts come packaged in a cool box screen printed with a vibrant design, and include a variety of random goodies, like postcards and candy. Eric has been AWOL for a while but is sure to be back with a bang. The official merchandiser of the Financial Champions League, better known as Cashletes, quickly became a hit amongst money minded individuals, and has been able to maintain. Cashletes t-shirts have become so in demand that it’s often hard to get a hold of one. The brand has released a wide variety of products ranging from screenprinted t-shirts to embroidered jackets, each based on a money themed sports team or organization. 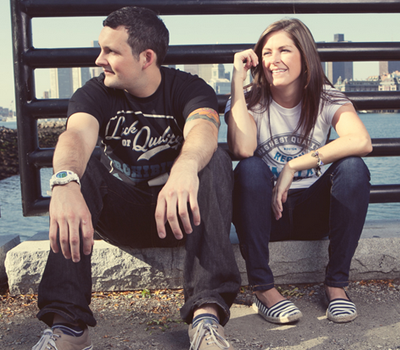 With classic, sports inspired styles, Cashletes is sure to offer t-shirts for bread winners from all walks of life. 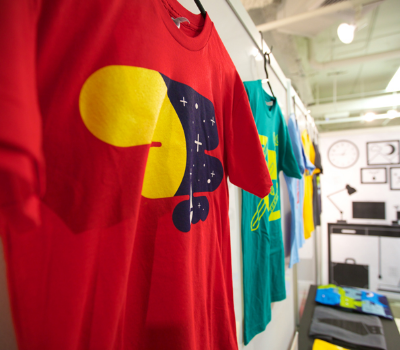 The simple, colorful design style of Milk and Eggs t-shirts is refreshing to see, amongst a sea of highly detailed design. Founded in 2009, the brand is inspired by the simple things and humor founders Ade and Dave find in their every day life. Their t-shirts have been showcased at a variety of tradeshows and craft fairs this past year. You can expect to see a new collection of fun, lovable tees from Milk and Eggs Co., and if you see anybody wearing a t-shirt that says “Party Like It’s 2011″, you’ll know where they got it from. One of the biggest zombie brands around, Electric Zombie, never fails to impress us with it’s selection of t-shirts, posters, and other products. The brand has sponsored tons of bands and musicians, and founder Kyle Crawford has done design work for a handful of others. 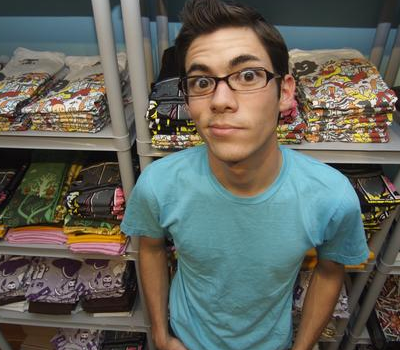 Kyle also believes in greatly designed zombie t-shirts at affordable prices, as seen in the Electric Zombie online shop, where some tees can be bought for only $10. Keep your eyes peeled for new merch from Electric Zombie this year. Inspired by the aesthetic appeal of the 1950s simplicity, Make Believe Clothing Company creates t-shirt designs that are both timeless and appealing to all generations. Even though they just debuted this past year, they’ve earned a spot on my list of favorites. Founder Brandon Herbel has also designed for other brands, like Upper Playground, so there’s no doubt that his own t-shirt designs are awesome. 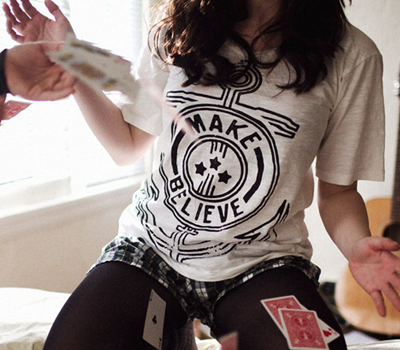 With two collection releases under their belt, Make Believe clothing is in the midst of creating something epic.